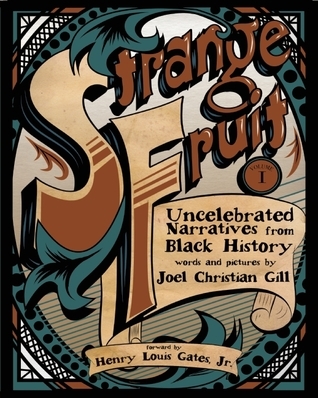 Strange Fruit, Volume I: Uncelebrated Narratives from Black History (other than having a long title) is a graphic novel of nine stories from African American History. Each one is told simply and usually with humor. When I first saw this book I knew I wanted to read it and I am honestly glad I did. Let me be completely honest with you guys. At the beginning, I was not fond of this book. I even considered DNFing (lol) the book at one point, but I forced myself to keep going and it is a good thing that I did. I think it was just the first few stories and the style they were written in that were not too appealing to me. I felt as if they were written over-simplified as if the novel was geared towards younger children, but at the same time with random pretentious words sprinkled in here and there. I also found it ironic that simple words were defined while bigger, more complicated words I did not understand were not, but I guess that probably was tactfully done this way. Now don't get me wrong the actually history in these first few stories was good, but it was just how they were told that I disliked. The text in these few was a little too tiny for my liking as well. Moving from about the 3rd story to the fourth was like a drastic improvement. The stories suddenly became more engaging and I was not able to put the book down from there until it was finished. The style used to tell the first few stories was left behind and the new style (I felt at least) was much better and well put together. Even the text improved. All the historic tales were told with eloquence and in a way that kept me interested. It really pleasantly surprised me how the book just shifted into a great reading experience. The graphics from this book were interesting as well. I am not sure if the finished copy looks the same compared to the e-galley, but for the most part I really liked the drawing style. The only thing that really bothered me here was that I felt the skin color of the African Americans was way too dark. Yeah I'm talking real dark, like I can only make out the eyes dark. That being said this might be a problem unique to the e-galley format and not a problem for the finished copy. Overall, I did enjoy reading this graphic novel. It is unique and for the most part very well done. I really would recommend it to everyone because it's a nice, quick, and easy nonfiction read. 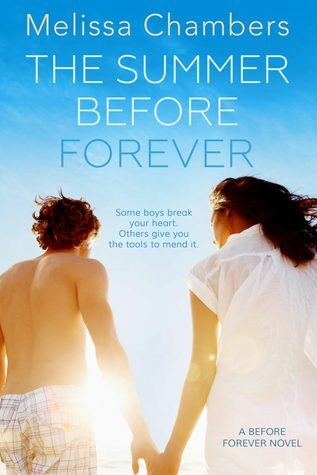 Honestly, this would probably be a 4 star and above book if it was not for the first few stories I did not enjoy. Hey there, Chioma! First of all, thank you for stopping by my blog earlier. Appreciate the sweet comment and follow! Lovely review. Gives me a nice idea about the book as a whole, but didn't overload me with a wall of text (some reviewers can go on and on and on lol). Who knows if the undefined pretentious words and defined simple words were done on purpose.. I'll admit I'm guilty of that once in a while lol. Mostly because I don't have a specific audience I'm writing for. Awww thanks! Yeah it was probably was done as some literary device and I did not catch it. A black history graphic novel?! Very intriguing. It's too bad you wasn't in love with it, but it's definitely new to me. Great review! Thanks and it intrigued me as well. I just wish the first few stories could be improved. 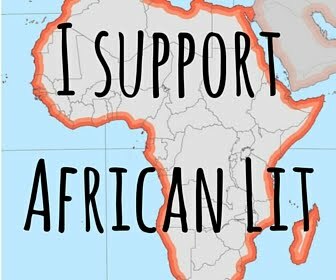 I am someone who loves reading and history, so having the two combined sounds glorious. Especially as it is black history, which never fails to intrigue me. Yes that is what I thought as well! Thanks for tagging me. I will be sure to do a post for it.